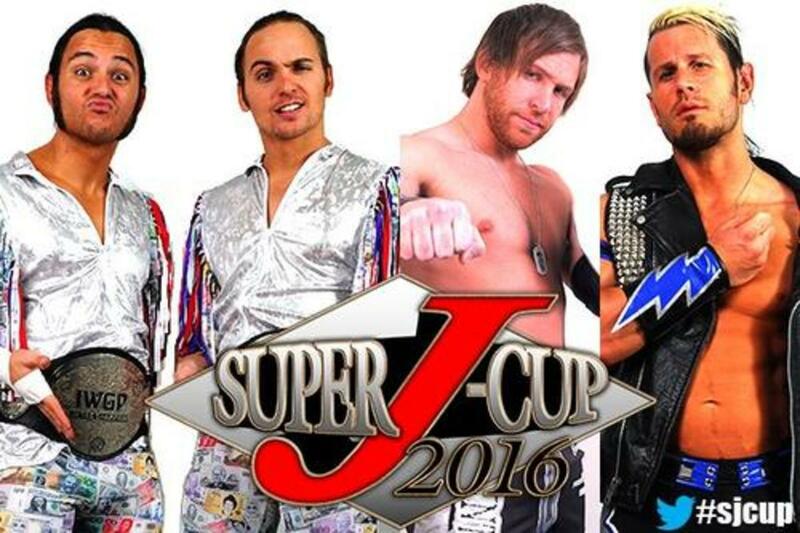 While the card for the finals of the 2016 Super J-Cup will feature matches to crown its champion, the show will also be aided by some significant appearances by competitors not in the tournament. The Young Bucks will defend their IWGP Junior Tag Team Championship against the Motor City Machine Guns on the August 21st tournament finale. The two teams have long been rivals dating back to their matches in PWG and time together in TNA, and they have recently renewed their feud in Ring of Honor. The GHC Junior Tag Team Championship will also be on the line as Atsushi Kotoge and Daisuke Harada defend against the team of ACH and Taiji Ishimori. The challengers earned the shot by winning Pro Wrestling NOAH's Junior Tag League tournament. The show will also feature a six-man tag of CMLL competitors with Ultimo Guerrero, Gran Guerrero, and Euforia battling Volador Jr., Titan, and Caristico. In tournament action, there will be four second round matches with the winners going on to the semifinals. Those semifinal matches will determine who will fight for the right to become the Super J-Cup winner in the show's main event.